HTC is bringing a 5-inch smartphone to Japan. 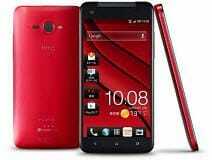 The company has launched the HTC J Butterfly, an Android smartphone with 1080p HD resolution. Just when we thought Android smartphones couldn’t get any larger, HTC launched the J Butterfly for the Japanese market. This is the first smartphone ever to feature a Full HD touchscreen. The iPhone 5 Retina display is at 326ppi resolution and HTC’s One X has a LCD 2 display at 312ppi. Quite a difference. The rest of the phone’s specs are high quality too. It has a 1.5 GHz Snapdragon S4 Pro CPU, 2 GB of RAM, 16GB of storage, an 8-megapixel camera and runs Android 4.1 Jelly Bean. The device is only 9.1 millimeters thick, and has a 2,200 mAh battery — which will be reqired to power its high quality display. For now, it seems this model will remain only on the mobile market in Japan. But hopefully we’ll see this display quality reach other countries soon. Super post and really nice sharing….